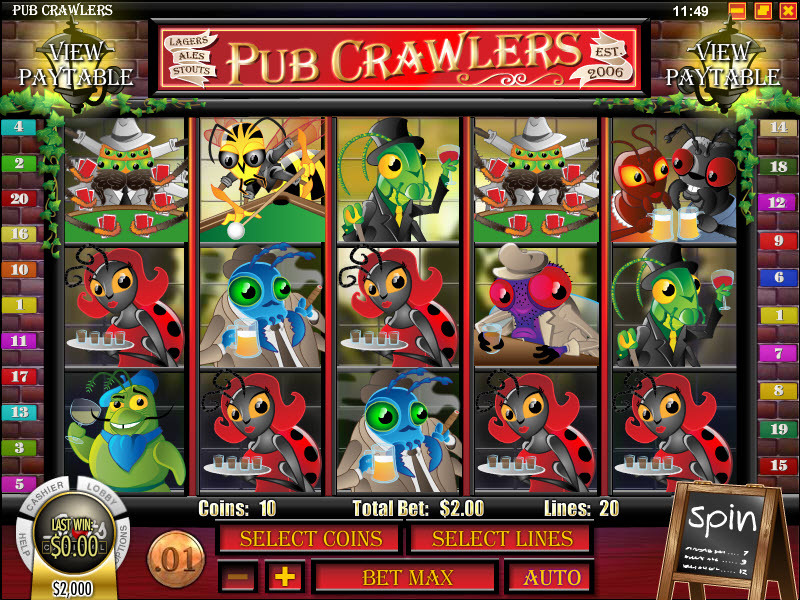 Overview: Beetle up to the bar and get some creature comfort! 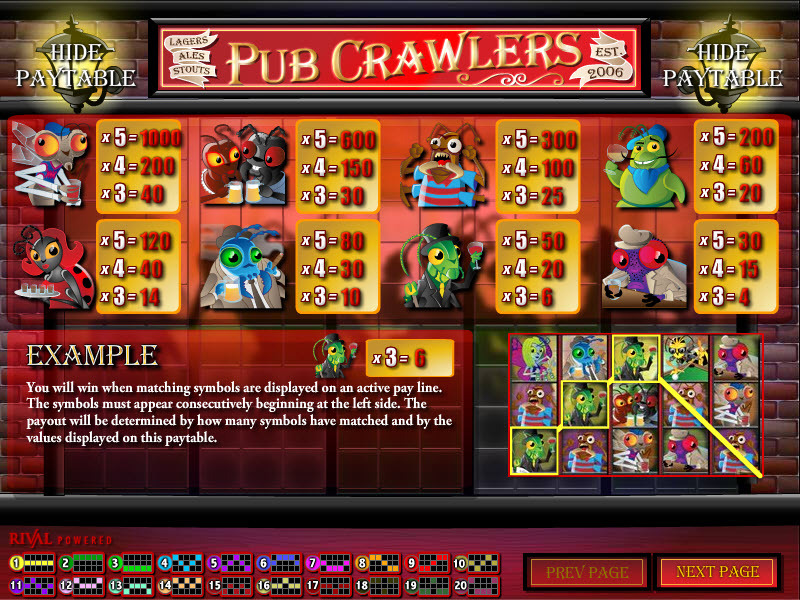 Some of the regular clientele includes a Bar Fly, a sophisticated Grasshopper, a cigar sucking Beetle, a Caterpillar drinking wine, the Ant couple, a bloody caesar sucking Mosquito, a slick Wasp, a Tarantula playing poker, and a drunken Cockroach hooligan. Also featured are the friendly staff, a Butterfly bartender, a Ladybug waitress, and a vigilant Scorpion bouncer ready to swat any pests that are bugging out too much. Try your luck at the Darts Bonus Round, A favourite Pub past-time. Take aim at the custom Spider-Web board and score some bonus coins. 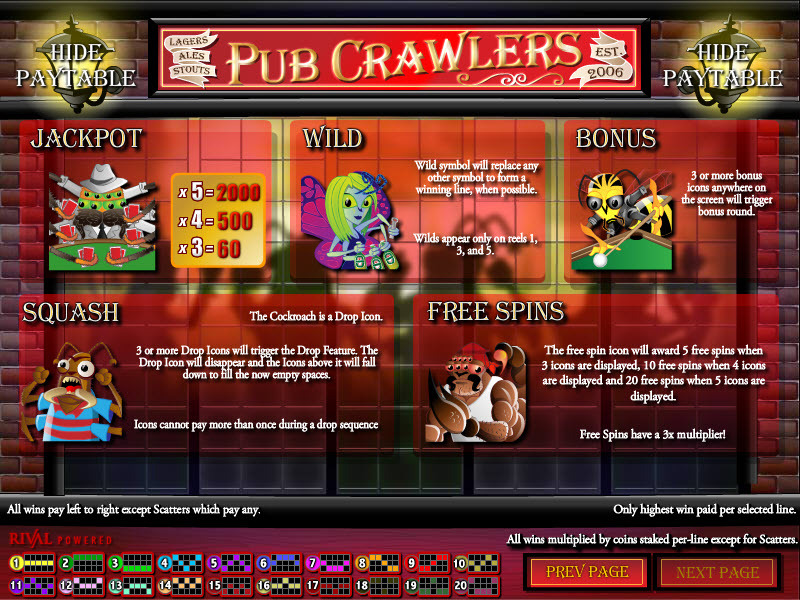 Similar Slots: If you like Pub Crawlers, you might like these other Rival video slot machines: Goldenman, Moonlight Mystery, Mystic Wolf, Opera Night, Pigskin Payout, Winter Wonders.